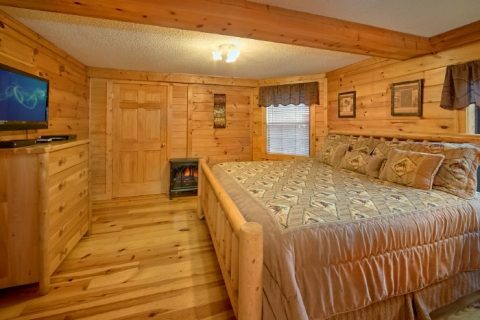 Welcome to "Lacey's Lodge," a cozy log cabin close the Old Mill area of Pigeon Forge, TN. 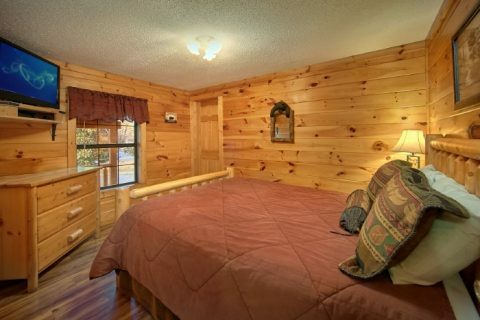 With only a short drive, guests can easily access the non-stop action of the main strip in Pigeon Forge with seemingly endless restaurants, shopping, and attractions like Dollywood. 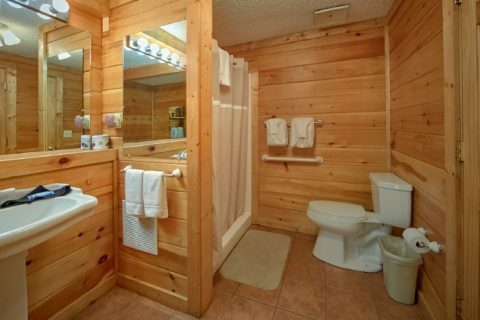 This one-level cabin provides a wheelchair ramp and a walk-in shower for guests with limited mobility. 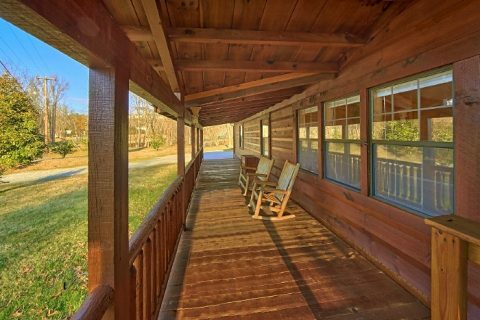 This cabin close to Pigeon Forge sleeps 10 guests and is a natural choice for family vacations in the Smokies. 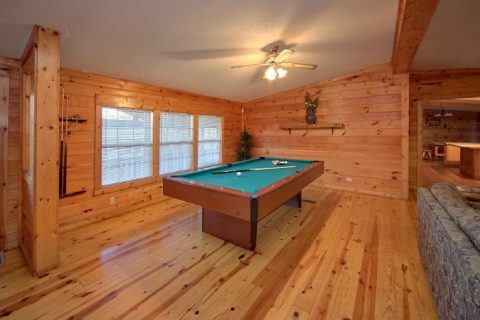 For even larger gatherings, it's easy to book 2 or more nearby cabins so that the whole family or group can enjoy their vacation in comfort. 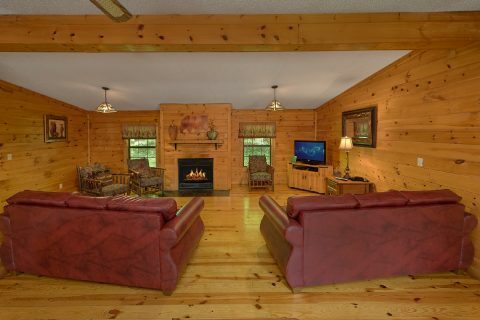 Simply call our reservations office at (800) 584-9872 if you have any questions about booking multiple cabins. 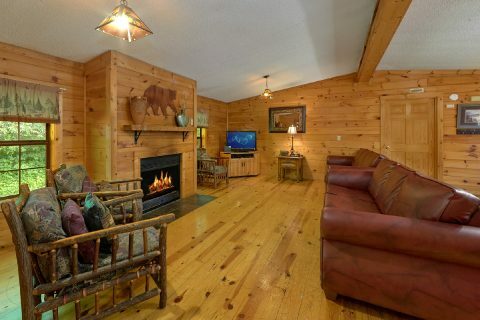 In addition to a great location near the heart of downtown, this lovely log cabin in the Smokies offers top-notch amenities to make your stay comfortable and relaxing. 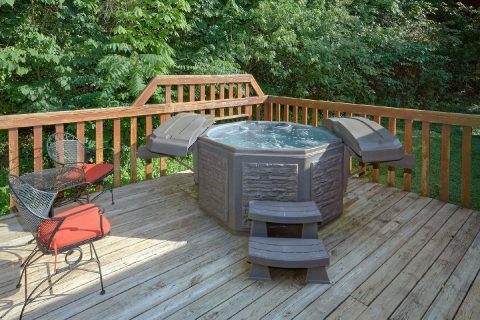 Your cabin comes complete with an outdoor hot tub, a jacuzzi tub, a fireplace, and WiFi Internet access. 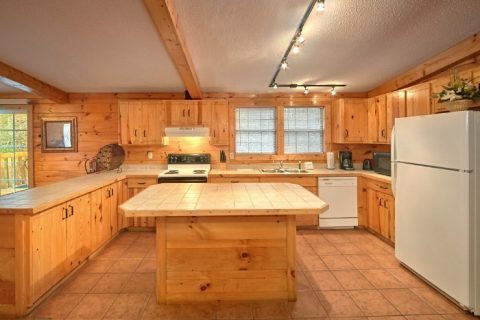 The fully-equipped kitchen with plenty of counter-space is ideal for preparing large meals for hungry vacationers. 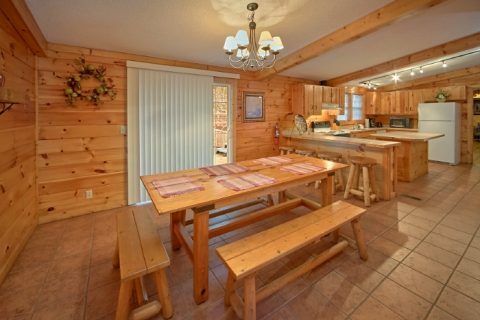 Better yet, a nice dining area allows for family dinners spend at the table. 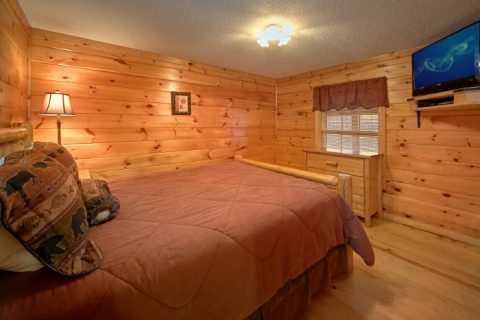 Once it's time to rest for the night, guests can sleep in a king-size bedroom, 2 queen bedrooms, or 2 sleeper sofas. 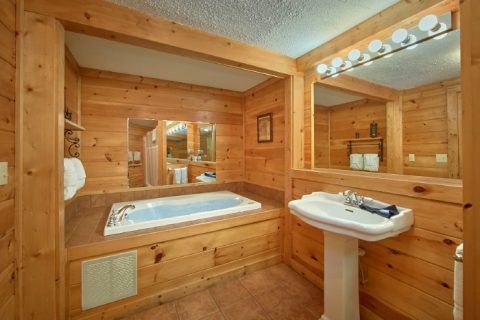 For your guests with limited mobility, one of the bathrooms features a walk-in shower for their convenience. Enjoy your one level cabin with a wheelchair ramp close to downtown Pigeon Forge for an unforgettable family vacation in the heart of the Smokies. 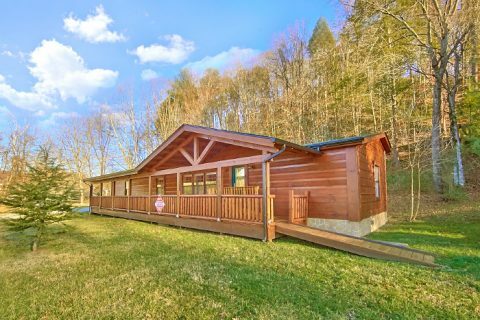 Book today with Cabins USA Gatlinburg and save on your lodging with our 15% discount Prepare for making vacation memories that will last a lifetime in the fun-filled Smoky Mountains of Tennessee!